Featuring the cushioned threshold of ComforTrack(R) technology, the Prevail sliding shower door makes getting into and out of the shower easier. Kneel, sit or lean in to bathe a child or clean the space comfortably. 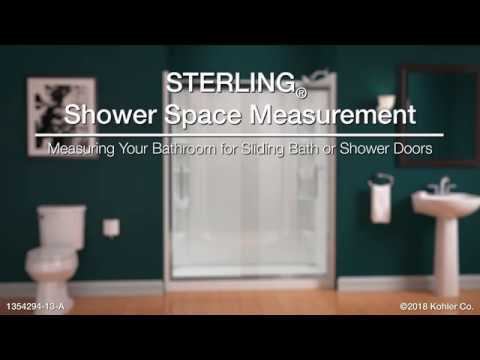 Featuring the cushioned threshold of ComforTrack© technology, the Prevail sliding shower door makes getting into and out of the shower easier. Kneel, sit or lean in to bathe a child or clean the space comfortably. Not for use in hospitality.